The UEFA Champions League Group Stage kicks off on Tuesday afternoon, with matches including Barcelona taking on PSV Eindhoven, and Paris Saint-Germain against Liverpool. 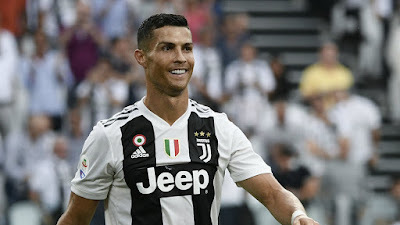 Real Madrid has won the Champions League the past two seasons and three of the last four, but they have a different look this year, as Cristiano Ronaldo went to Juventus of Italy. Juventus has been in the Final twice in the last four years, losing to Barcelona in 2015 and Real Madrid in 2017. They lost to Real Madrid again last season, in the quarterfinals, but Ronaldo could certainly put them over the top. One of the most intriguing matches in the Group Stage will be when Juventus takes on Manchester United in Group H, and Ronaldo will be making his return to Old Trafford on October 23 at 3:00 p.m.
Liverpool made the Final last season, so look for Mohamed Salah, Sadio Mane, and Roberto Firminho to finish off the job. Barcelona will be looking to win the Champions League for the fifth times since 2006. They led by Lionel Messi, Philippe Coutinho, and Ousmane Dembele. Can Paris-Saint Germain (PSG) finally attain glory in this tournament? They are led by Neymar, Kylian Mbappe, and someone who has won plenty in this tournament, goalkeeper Gianluigi Buffon, who they brought over from Juventus.